EA Sports president, Peter Moore, said that moving away from annual game discs and incentive-ising ownership is on the horizon for big time franchises like Madden. Electronic Arts has been all about offering day one DLC in order to encourage consumers to buy its games new and to still make a buck from gamers who happen to buy their games used. This plan has been dubbed "Project Ten Dollar" by EO CEO John Riccitiello in reference to the usual amount charged for access to what is generally free for new owners. 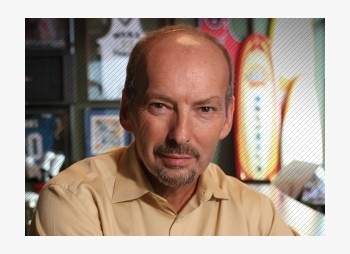 Peter Moore, formerly of Microsoft and now head of EA Sports, spoke at the Morgan Stanley Technology Conference and said that such a plan is being considered for games like the popular Madden football franchise. Sales of annual installments of that franchise have dropped in recent years and Moore recognizes that his business model needs to adapt to the digital times. "I think we need to move much quicker, in particular with Madden, through a digital world ... you're going to see more announcements there how we digitize our Madden consumer," Moore said. Digital content delivered through ingame portals, as seen in the Cerberus Network for Mass Effect 2 are an option. "It keeps the disc in the drive longer, it stalls trading the game in, it allows me to be able to take further advantage of that consumer over a longer period of time," said Moore. Does that mean we'll see a Madden Refreshments Booth, where you can buy addons like uniforms and historic teams a la carte or simply get "The Works" and opt in for all available digital content? What would the real John Madden do?